Whenever I find coins in the laundry, or on the table, I had them to the nearest child to put in their piggy bank. Which isn’t always equitable, but it solves the problem of having random coins lying around. 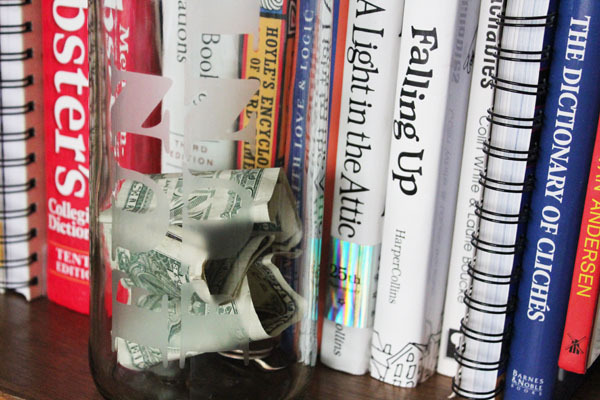 When I was a child, my mom had a piggy bank on the kitchen counter for random coins, as well as money from recycling or garage sales, or other random small-time money makers. We’d save up the money until we had enough to get something fun, like the ping pong table. It is surprising how coins and bills can add up so quickly! This week is Craft Lighting Week, and together with my co-host Angie from The Country Chic Cottage, and our guest host Carissa from Creative Green Living, we’re sharing fast and fun crafts made with recycled items. 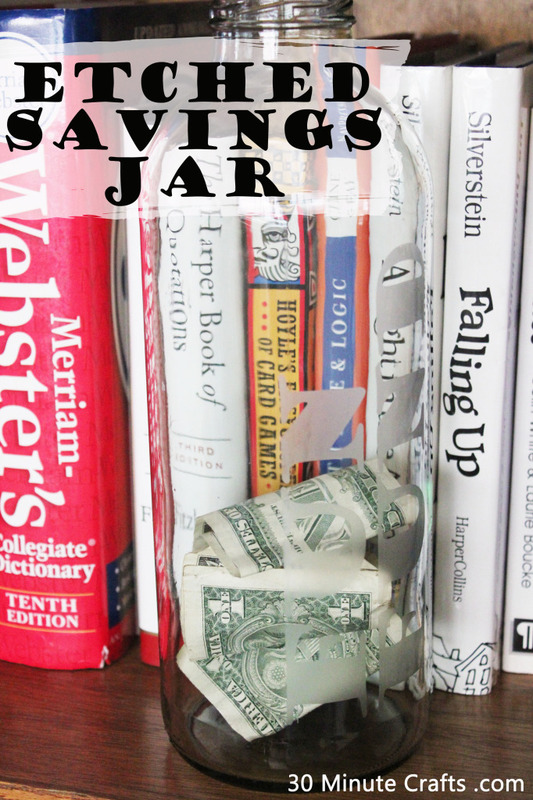 I whipped up this etched savings jar in less than 15 minutes from a large lemonade bottle. It was so easy to do… let me show you how! And scroll down to the bottom of the post to see the fun ideas from my co-hosts and the bloggers that are joining in on this fun series! Start by peeling the labels off your jar. 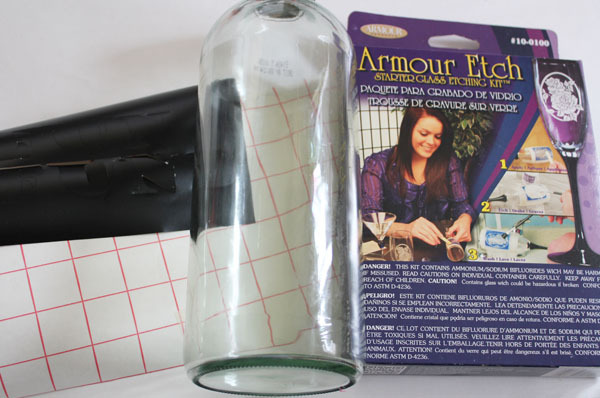 Use rubbing alcohol to remove any residue or ink from the glass. Cut the design into the vinyl with the cutting machine. 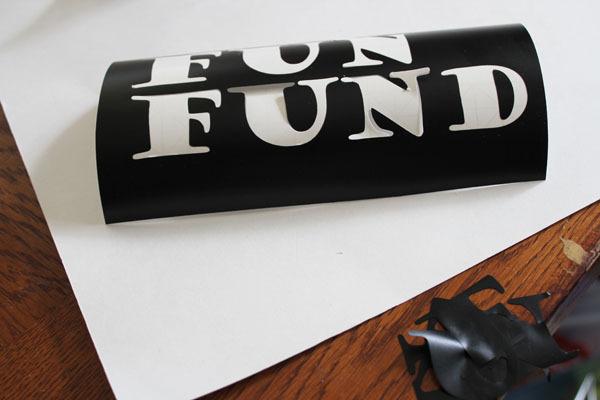 I chose “Fun Fund” for mine. 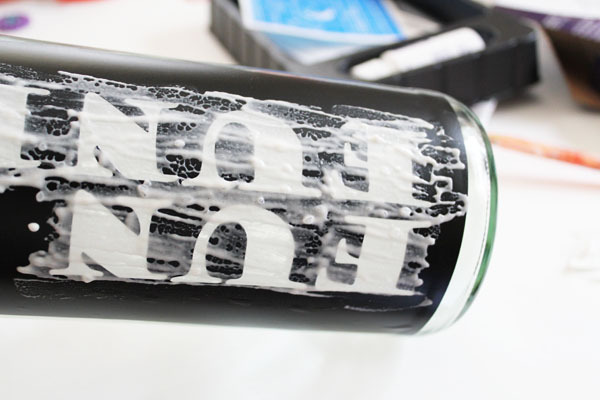 Remove the letters from the vinyl to create the stencil. 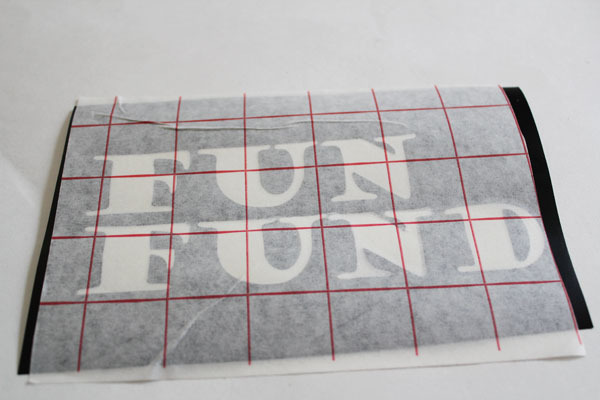 Place transfer paper on top of the stencil, and remove the backing. 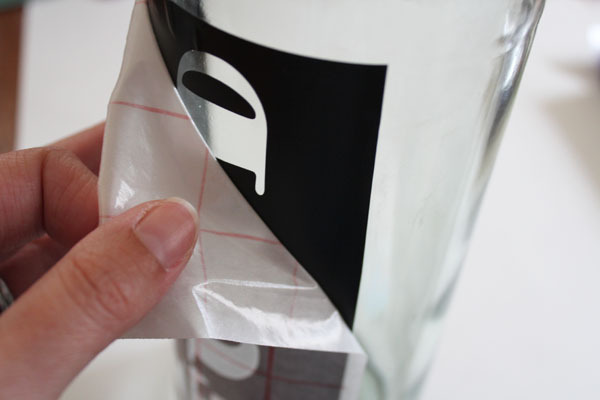 After you’ve carefully removed the backing paper, secure the vinyl to the side of the jar. 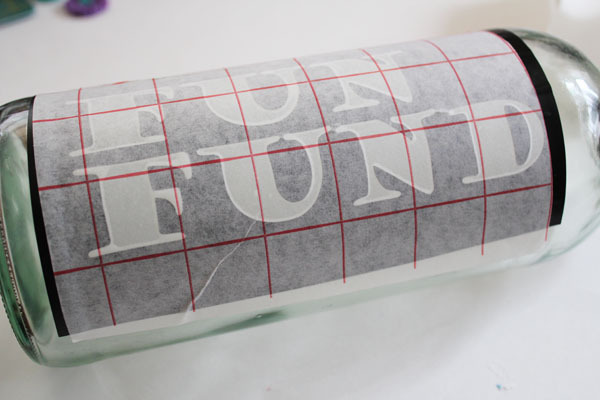 Carefully remove the transfer paper, leaving the vinyl behind. Spread on the etching cream according to the package instructions. Mine only needs to sit for one minute, then is washed away. Once you’ve washed away the etching cream, peel away the stencil. Dry, and your jar is done! 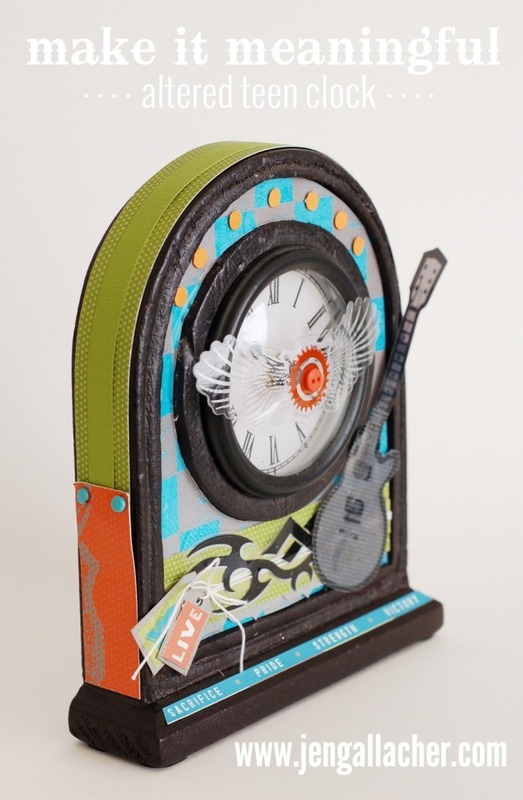 Jen at Insiteful Living made this fun Altered Teen Clock. 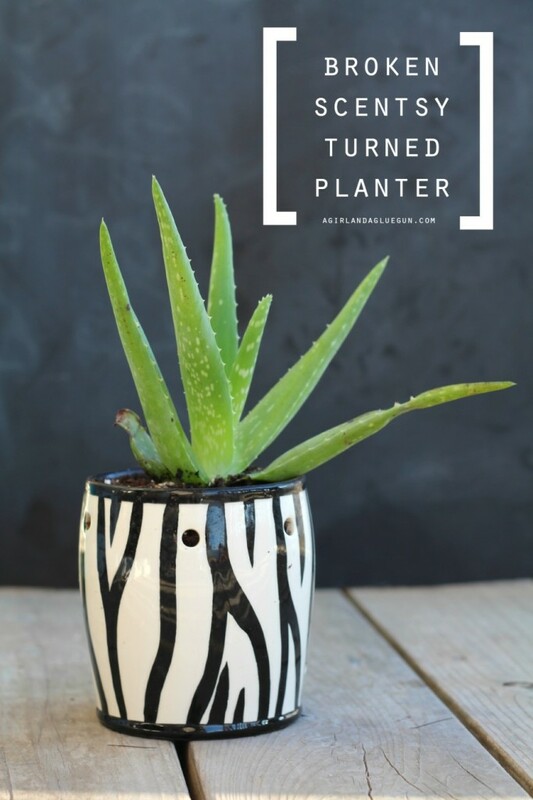 This Scentsy Warmer turned planting pot was made by Kimbo at A Girl and a Glue Gun. 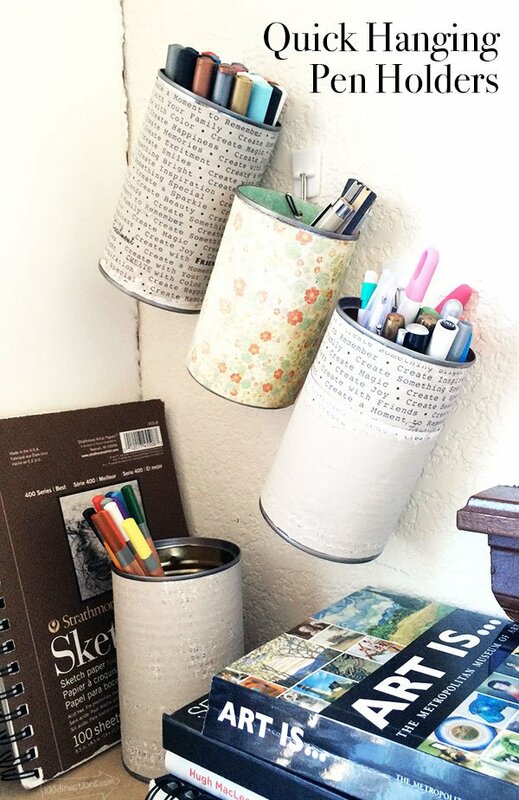 This upcycled pen storage was whipped up by Jen Goode at 100 Directions. 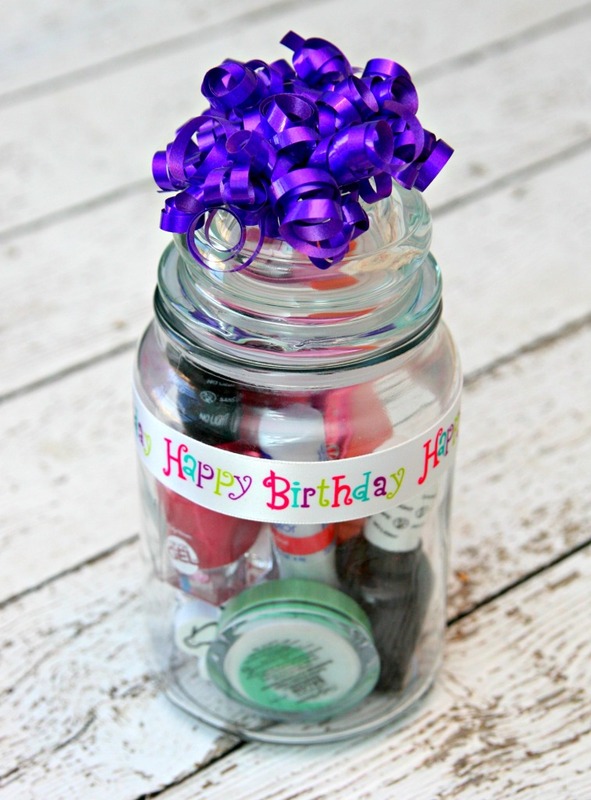 Over at Happy Go Lucky, Kara created this fun gift idea. 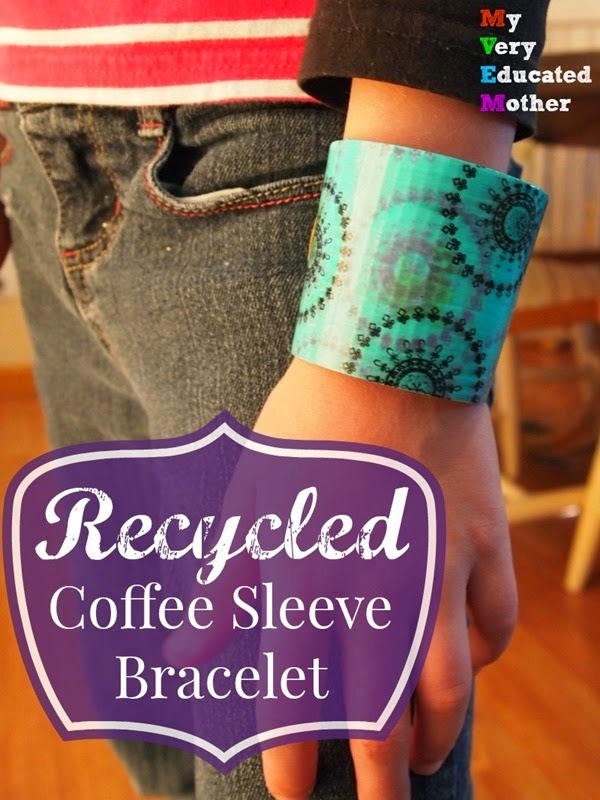 Erin shows us that even coffee sleeves can find a new life… as in this coffee sleeve bracelet she’s sharing over at My Very Educated Mother. 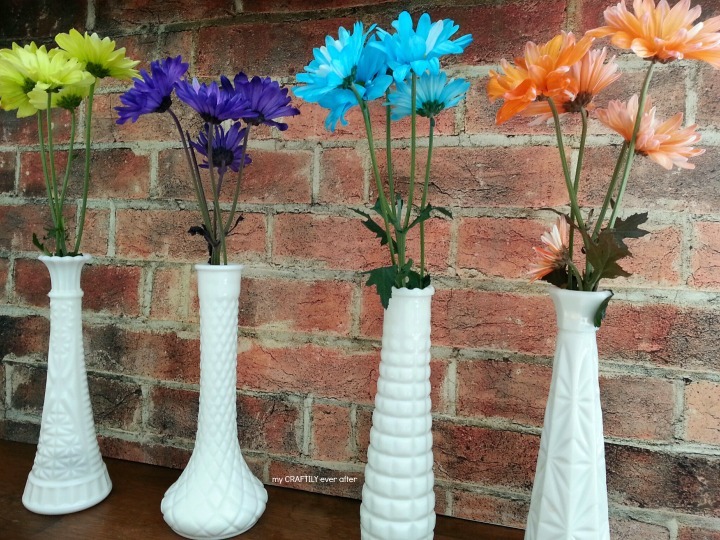 Ashley at My Craftily Ever After made some cute vase decor. 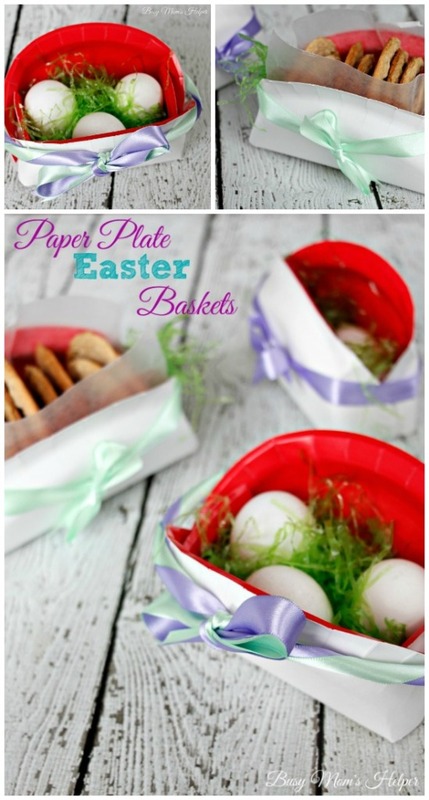 Danielle at My Craftily Ever After made these paper plate Easter baskets. 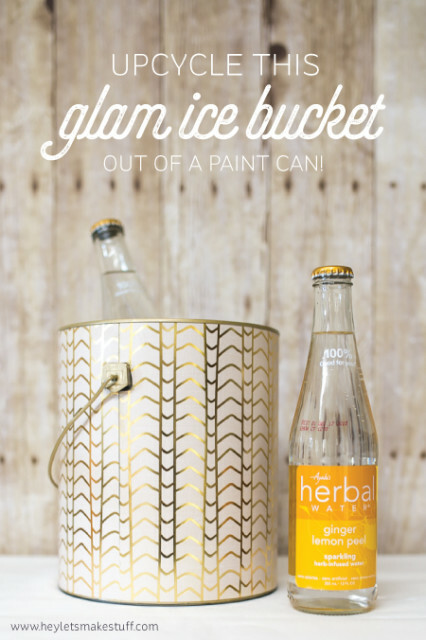 Cori at Hey Let’s Make Stuff made a glam ice bucket from an old paint can.